This book presents easy viola scale exercises and bowings on the C, G, D, A, F, B-flat, and E-flat major scales. Useful as an introductory book for scales, this book is also helpful with building tone and exploring different finger positions. The book begins with the C major scale and teaches basic slur patterns and easy rhythms. After exercises on the G and D scales, the book progresses to other keys, grouped by finger patterns. 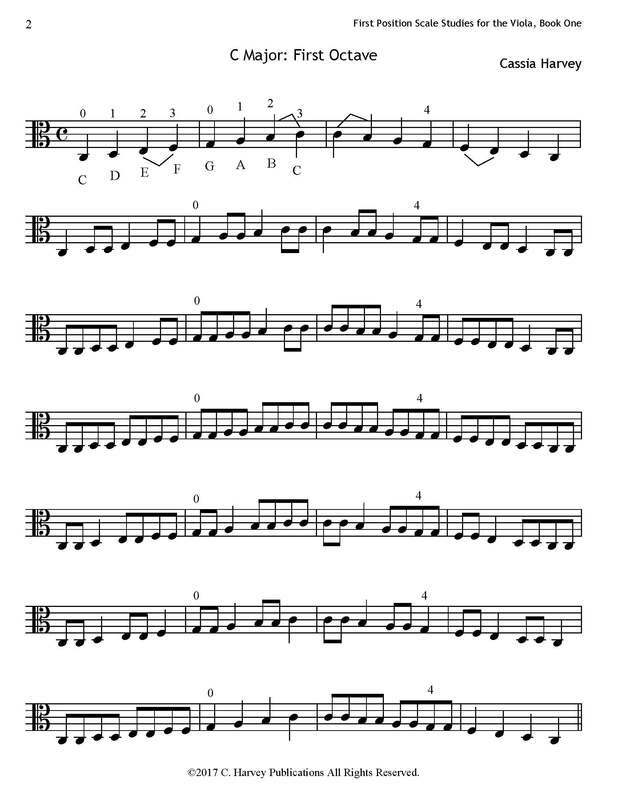 Rhythms are taught in 3/4, 4/4, and 6/8 timing. The book concludes with slow scale exercises for vibrato work and eighth-note studies for speed. ​First Position Scales works well alongside Finger Exercises for the Viola, Book One.